Home » How Can our Interactive Kiosk Improve Your Services? All of our interactive kiosks are custom-designed by our team of professionals for an innovative experience, using the most cutting-edge technology to enhance the audience’s usage. 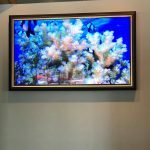 We aim for not only highly advanced features but also a very user-friendly execution that keeps our digital signage products easy to work with while providing all the information necessary. 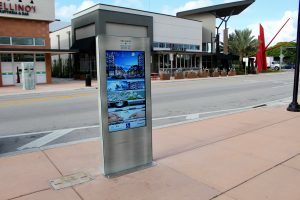 Intermedia Touch specializes in kiosks for all varieties of use, including wayfinding and directories, a point of sale, contests, survey and data capturing, educational learning, museums, exhibitions, and entertainment options; along with video & photo capturing. Increasing Accessibility: Kiosks offer the ability to provide information in an eye-catching, smooth, convenient, accessible manner. They are designed for maximum user-friendliness, enabling users to gain the info they are seeking in the fastest ways possible. 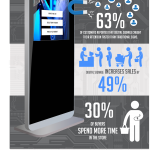 Advertising: Advertising is done easily with an interactive kiosk. A variety of different media can be used, enabling personal connection with your customers as you present new products, promotions, and specials that are occurring. 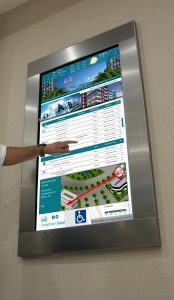 Wayfinding: Wayfinding is one of the most useful applications of an interactive kiosk. In this manner, a kiosk works as a solution that guides users in the right direction, which enables less reliance on staff members, along with more freedom for the user. Order Entry/ Point of Sale/ Payment: Kiosks are exceptional tools for use as a self-service center where customers can purchase items or make payments. Allowing for increased automation, while enabling employees to focus on other tasks. 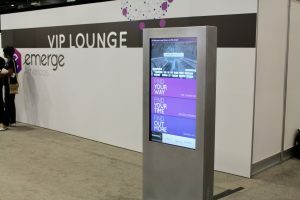 Tools for Promotion: An interactive kiosk utilizes the latest technology in digital signage, which can be used to provide promotions to your clientele. Targeted promotions are becoming increasingly more common, and customers develop loyalty when they are given the ability shop more efficiently. In this manner, a kiosk can serve as a connection point between your company and your customer. Organization: Kiosks can help immensely with keeping your business or establishment organized by providing a simplified access point for information and communication. All information can be found in one easy to access place, minimizing clutter and visual noise.